The attractive seaside village of Charmouth can trace its history back to the Iron Age, when the Celts founded a settlement, and evidence of hill forts can still be seen in the area. Many of the buildings that remain in the village today date from the 18th and 19th centuries, giving the sense of a place where time has stood still. 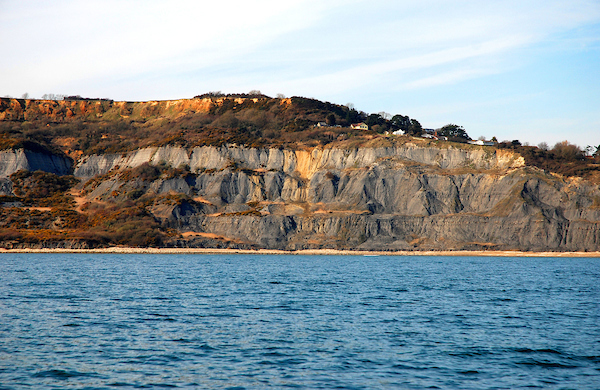 Charmouth is right in the heart of fossil hunting country. The large shingle beach and the Charmouth Heritage Coast Centre on the seafront are a must-visit for those interested in fossils and the local natural history. 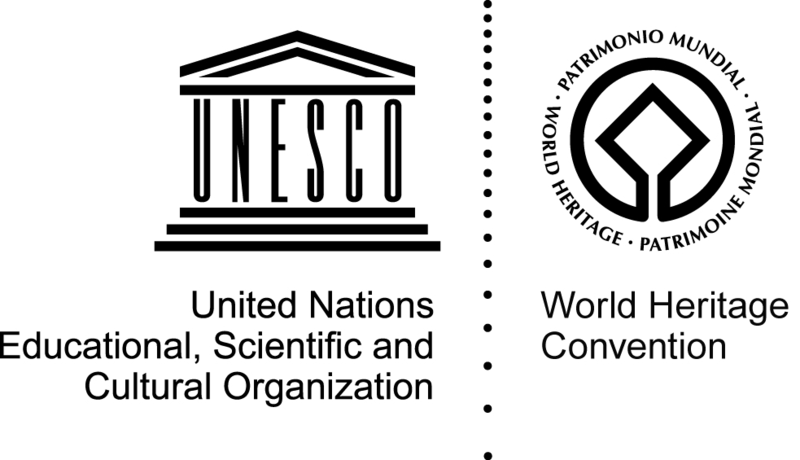 The Heritage Coast Centre also runs regular fossil hunting walks which are extremely popular. 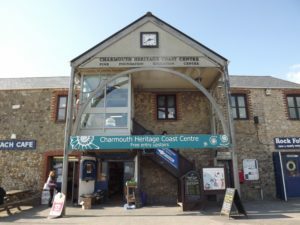 Charmouth is also a great destination for walking, and there are many attractive routes running both inland to the pretty Dorset and East Devon countryside, and along the South West Coast Path. Lyme Regis is about two miles to the west, while the attractive seaside town of West Bay is a longer walk further east. The Jurassic Coaster bus service runs through Charmouth. The nearest railway station is at Axminster, seven miles to the north-west. There is no direct bus service to Axminster, but it is possible to travel via Lyme Regis. By road, Charmouth is signposted from the A35. We recommend Newlands Holiday Park and Hensleigh House B&B, both found in Charmouth and located a short walk from the beach. You can also book a cottage in the area with holidaycottages.co.uk. For a comprehensive list of local accommodation options, visit our Where to Stay page. 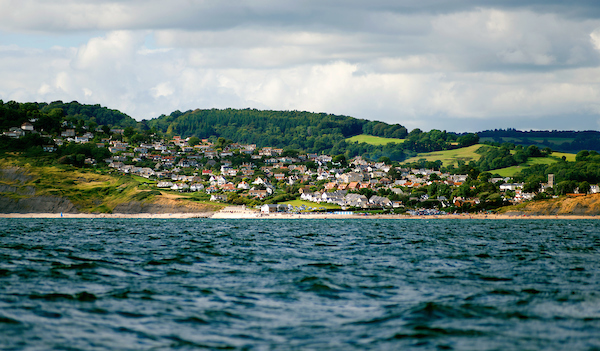 Charmouth village as seen from the sea. Black Ven landslide near Charmouth. Iron Pyrite ammonites from Charmouth beach. 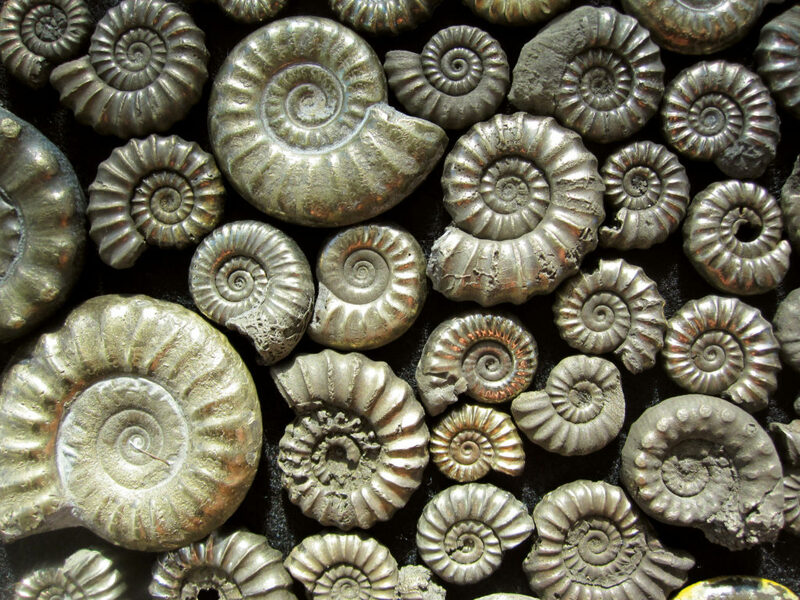 Visit the Charmouth Heritage Coast Centre to see the superb displays of local fossil finds, and then join a fossil hunting walk to discover your own. Entry is free, and the centre has interactive hands-on displays and information on fossils, fossil hunting and local coastal and marine wildlife. There is a video microscope that you can use to examine your finds and you will always find a helpful warden or volunteer who can help identify your fossils for you. In 2018, the centre plays host to an enormous ichthyosaur fossil as seen on the BBC TV programme Attenborough and the Sea Dragon. Stonebarrow is a large area of countryside located just to the east of Charmouth. Owned and managed by the National Trust, it is home to superb year-round walking and makes a brilliant picnic spot. It also contains the fascinating “lost village” of Stanton St Gabriel. You can brave the walk uphill from the beach, or take the car up Stonebarrow Lane to the hilltop carpark.